Next-generation sequencing (NGS) has dramatically changed the way biological research is being conducted in the post-genomic era, and they have only been utilized widely over the recent decade for studies of non-model decapod crustacean species, predominantly by sequencing the transcriptome of various tissues across different life stages. Next-generation sequencing can now provide a rapid, cost-effective solution for discovery of genetic markers crucial in many applications that would previously have otherwise taken years to develop. Sequencing of the entire transcriptome (referred to as RNA sequencing; RNA-seq) is one of the most popular NGS tools. RNA-seq studies of non-model species in crustacean taxa, however, have faced some problems, including a lack of “good” experimental study design, a relative paucity of gene annotations, combined with limited knowledge of genomic technologies and analyses. 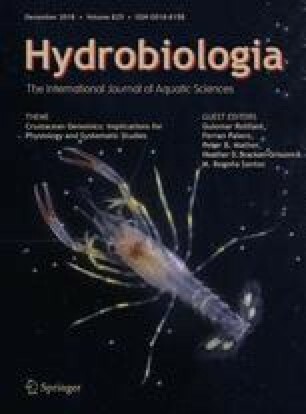 The aim of the current review is to assist crustacean biologists to develop a better appreciation for the applications and scope of RNA-seq analysis, understand the basic requirements for optimal RNA-seq studies and provide an overview of each step, from RNA-seq experimental design to bioinformatics approaches to data analysis. Insights that have resulted from RNA-seq studies across a wide range of non-model decapod species are also summarized. Tuan Viet Nguyen and Hyungtaek Jung have contributed equally to this work. The current study was supported through a Marie Curie International Research Staff Exchange Scheme Fellowship within the 7th European Community Framework Programme (612296-DeNuGReC). Tuan Viet Nguyen was supported through the Australian Research Council Discovery Project grant awarded to Dr Tomer Ventura (No. DP160103320) and a USC International PhD scholarship. The authors would like to acknowledge the precious help of Professor Abigail Elizur (University of the Sunshine Coast, Australia) and four anonymous reviewers for numerous feedbacks that helped improve the quality of this manuscript.